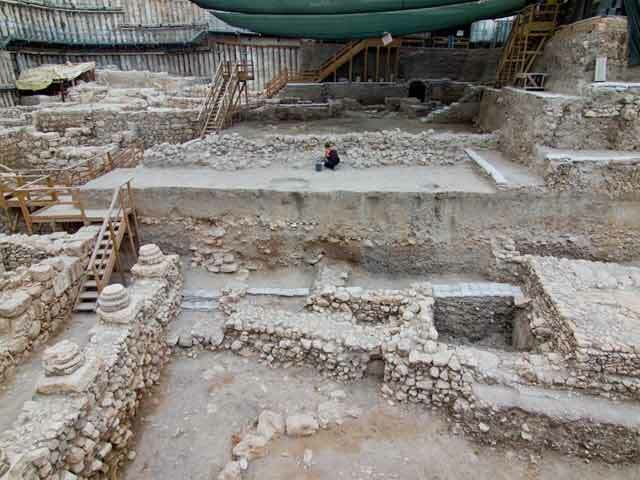 From February 2011 to October 2012, excavations were conducted in the eastern part of the Giv‘ati parking lot at the City of David in Jerusalem (Permit Nos. A-6086, A-6392; map ref. 222363/631321). 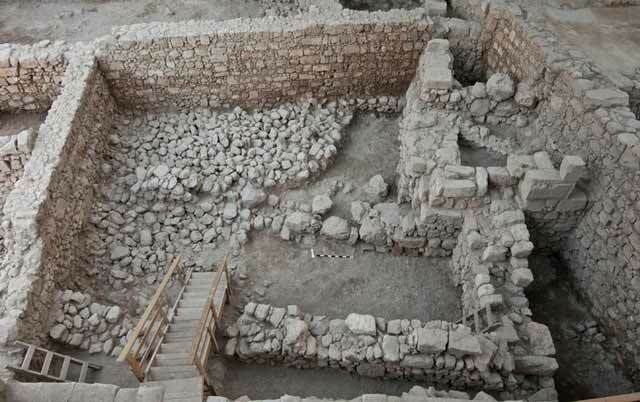 The excavation, undertaken on behalf of the Israel Antiquities Authority and underwritten by the El‘ad Association, was directed by D. Ben-Ami and Y. Tchekhanovets, with the assistance of A. Zilberstein, D. Gotreich, A. Shatil, S. Cohen, D. Tan‘ami, F. Cobrin and H. Ben-Dov (area supervision), V. Essman and Y. Shmidov (surveying and drafting), A. Peretz (field photography), the Sky View Company (aerial photography), C. Amit (studio photography), N. Zak (plans) and D.T. Ariel (numismatics). Students from the Hebrew University in Jerusalem and other academic institutions took part in the excavations, as well as volunteers from abroad. 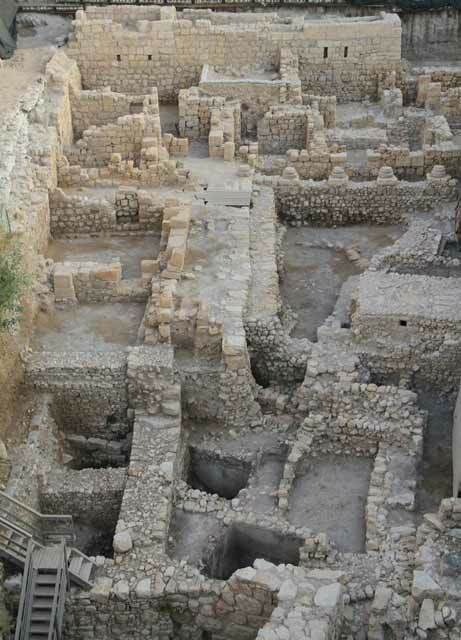 The excavations were conducted along the northwestern side of the spur on which the City of David is situated (Fig. 1), on the eastern fringes of the Tyropoeon Valley, which borders the spur from the west. 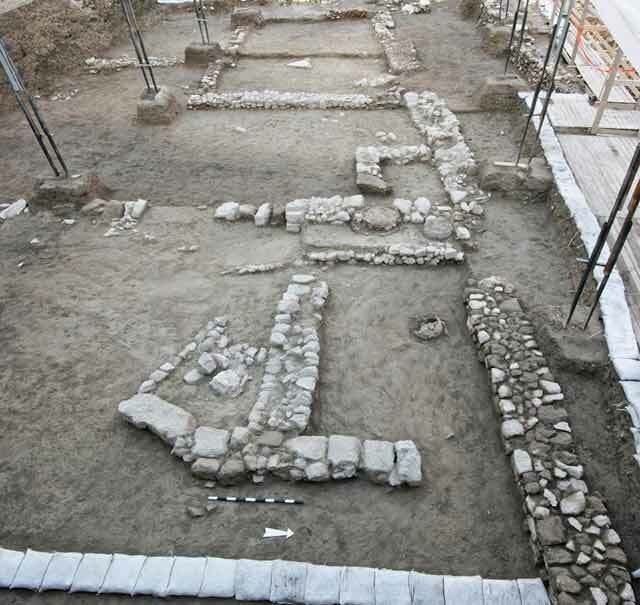 The excavations in the parking lot began in 2007 in the southeast quarter (Area M1) where architectural remains that dated to the Iron Age, Hellenistic, Early Roman (the Second Temple period), Byzantine and Early Islamic periods were discovered (HA-ESI 120). In early 2008, the excavation area was expanded to the north (Area M2), as far the street that passes south of the Ottoman city walls; the excavations continued uninterrupted until 2010. 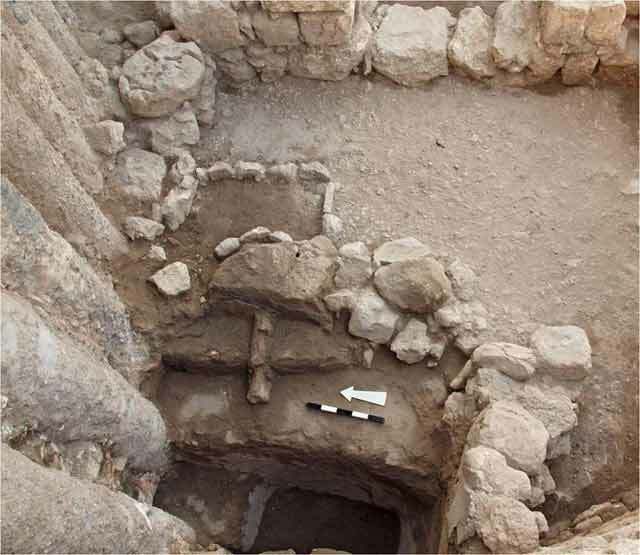 In these excavations, architectural remains that dated to the Early Roman (late Second Temple period), Late Roman, Byzantine and Early Islamic periods were revealed (HA-ESI 122). In 2011 and 2012, excavations were carried out in the area enlarged to the east (Areas M3, M4). Upon removal of the asphalt from the eastern part of the parking lot, work had begun from the surface and reached the depth of the Iron Age remains, similar to the previous excavations conducted in the western part of the lot. 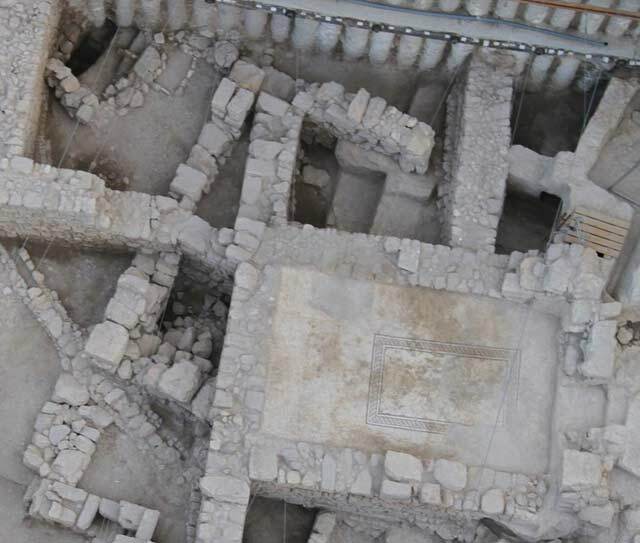 This excavation allowed us to confirm the conclusions from the previous excavations at the site, and to formulate a more comprehensive picture of the occupation in this part of the city. During this season, architectural remains from Iron Age II, III, and the Late Hellenistic, Early Roman, Late Roman, Byzantine and Early Islamic periods were discovered. Remains and artifacts from Iron Age I and the Bronze Ages are conspicuously absent. Except for several fragments from the Middle and Late Bronze Ages, the Bronze Age in general has, so far, not been really evident in the excavation area. Iron Age II, III. Until the 2011 season, Iron Age remains were exposed in a limited area in the northeastern corner of the excavation; these remains were, however, sufficient to learn about the existence of a significant settlement there. The remains included meagerly built structures in which installations were discovered. In the earliest phase of the settlement from this period the bedrock was utilized as a foundation for the walls of the buildings, for quarrying steps that were incorporated in buildings and for straightening and smoothing bedrock surfaces for use as floors in the rooms. The pottery assemblage in the early settlement phase of the Iron Age is rich and diverse, predating the eighth century BCE. In the 2011 season, a large pile of different size stones (Fig. 2) was exposed in the northeastern side of the excavation area, beneath the floors of a building from the Hellenistic period. The nature of this stone pile (collapse? intentional fill?) could not be ascertained because the foundations of later buildings rested on it and did not permit its dismantling at this stage. While cleaning the stone pile, numerous potsherds that dated to Iron Age II, III and the Hellenistic period were discovered and therefore, it is not possible at this point to date the stone pile with certainty to the Iron Age, even though it is highly likely that the stones originated from one or more buildings of the Iron Age. An amethyst seal bearing the image of a sphinx was discovered along the northern edge of the stone pile. Late Hellenistic Period (second–first centuries BCE). Remains of a large building were discovered in the northeastern part of the parking lot. 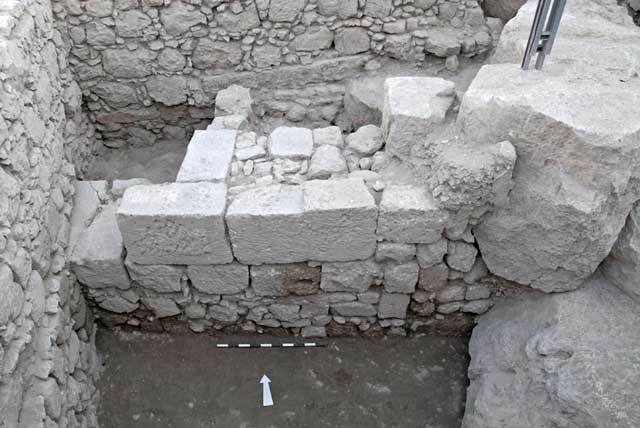 The building has impressive walls, a massive entrance, two elongated halls west of the opening that have white-plaster floors and another space south of the opening that has not yet been excavated. The entrance was built of ashlars with drafted margins (Fig. 3) and its threshold and doorjambs were discovered in situ. In the northern part of the excavation area, where the bedrock was preserved to a considerable height, rock-hewn rooms were discovered, as well as a square shaft that was cut in the bedrock and led to a large water reservoir (Fig. 4), which made use of a karstic cavity; the rock-cut rooms and cistern were incorporated in the large building. The building was discovered sealed beneath the walls of buildings from the Early and Late Roman periods. Whole pottery vessels and coins that dated to the second and first centuries BCE were found on one of the floors in the building. The discovery of the Hellenistic-period remains at the site is extremely relevant to the study of the history of Jerusalem at this time, since until now only scant settlement remains from this period have been found in the city, particularly from the second and first centuries BCE. The Early Roman Period (Late Second Temple Period). Remains from this period were discovered in all points where the excavation reached the depth of this stratum. A large architectural complex was exposed in previous seasons on the southwestern side of the excavation area. It included elongated spaces consisting of a basement level and an upper residential story. The basement level was covered with vaults and judging by the many store jars discovered there, it seems that it was used for storage. The basement vaults supported the floors of the residential story. Among the collapse of the building were fresco fragments indicating the walls of the residential story were decorated with paint. 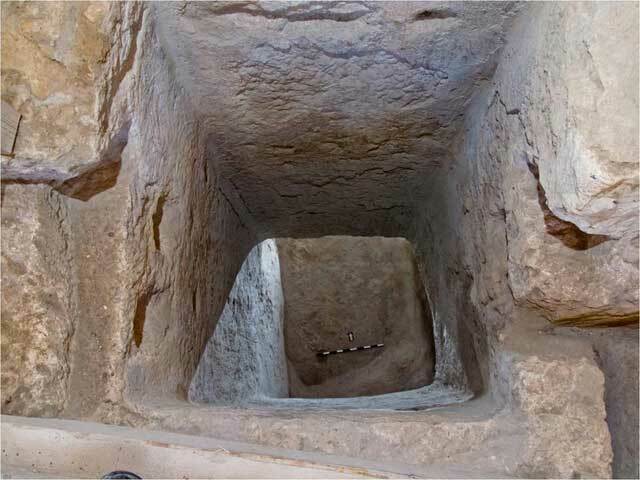 Next to the northern side of the building was a large purification wing that formed an integral part of the architectural complex and contained plastered cisterns and ritual baths (miqwa’ot). In the 2011–2112 seasons, remains of the southern part of another building were discovered on the northeastern side of the excavation area. Part of the building was still located beneath a mosaic floor of a building from the Late Roman period (Fig. 5). A miqwe whose walls were lined with stone and coated with several layers of gray plaster was discovered next to the building. A narrow partition was built in the middle of the two upper steps of the miqwe; it was meant to separate those descending into the immersion basin prior to cleansing and those ascending the steps after the purification. A rectangular installation built of small fieldstones was exposed on the east next to the upper step of the miqwe (Fig. 6). 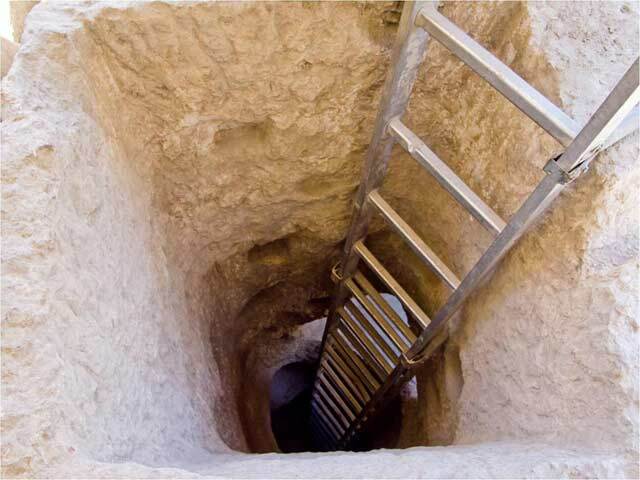 Presumably, one washed one’s feet in the installation prior to descending into the miqwe. The water reservoir from the Hellenistic period discovered nearby was probably converted in this period for use as a hiding refuge. As part of this change, a narrow entrance shaft was hewn close to the reservoir’s original shaft that was blocked in this phase (Fig. 7). The new shaft was not plastered and small footholds were hewn in its sides at set intervals to facilitate climbing up and down. It was apparently possible in this phase to camouflage the entrance to the hiding refuge. 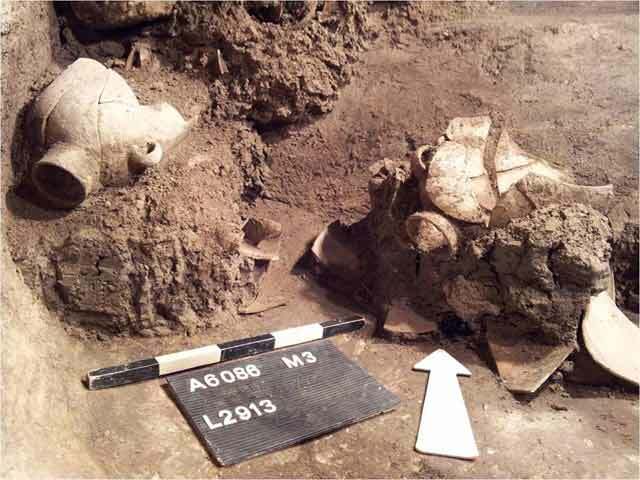 The finds inside the refuge included numerous pottery vessels, most of which were mainly jars and cooking pots, complete and discovered in situ (Fig. 8), as well as bronze objects, coins from the time of the revolt, numerous fragments of stone vessels and burnt timbers. Traces of the destruction of the settlement from this period are evident everywhere. The coins from this period, which were discovered in the two buildings and in the hiding refuge, indicate that the end of the settlement occurred with the fall of Jerusalem to the Romans in the year 70 CE. The Late Roman Period (third–fourth centuries CE). The site remained in ruins for 150–200 years and afterward, construction was resumed. 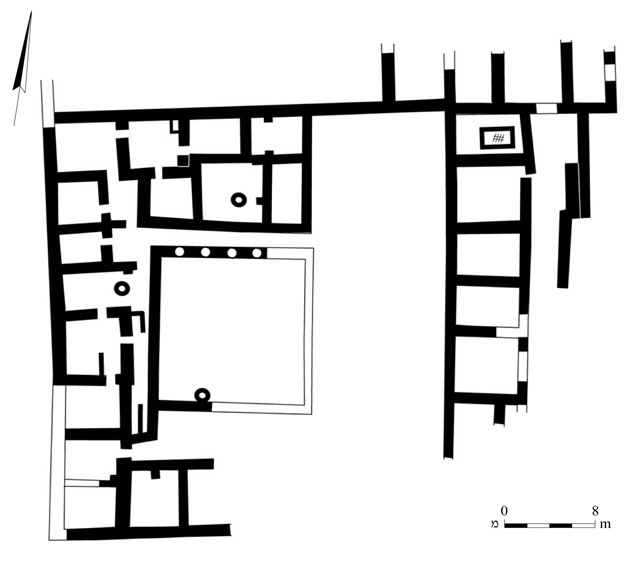 In most of the area in the early seasons, an immense structure was exposed, comprising numerous rooms built around a large square colonnaded courtyard (Fig. 9). In this season, several aspects regarding this building were clarified. Creative engineering solutions were required to set up such a large structure on the slope of the spur that descends to the west toward the Tyropoeon Valley. A ground floor was built in the western part of the structure. The upper story of the building, i.e., the residential level, was founded in the western side on ground level and in the eastern side of the building directly on the bedrock, which was higher there (Fig. 10). In this way, it was possible to construct the extensive residential story all on one level. To date, a row of six rooms has been discovered in the eastern wing of the building. One of the rooms had a mosaic floor with a rectangular frame that enclosed a black and red guilloche pattern (Fig. 5). West of this row of rooms was an extensive rectangular courtyard that was probably meant to minimize the load in this section of the building, where the slope drops precipitously to the west. The intricate plan of the building and the finds discovered in it clearly indicates the Roman character of the structure. 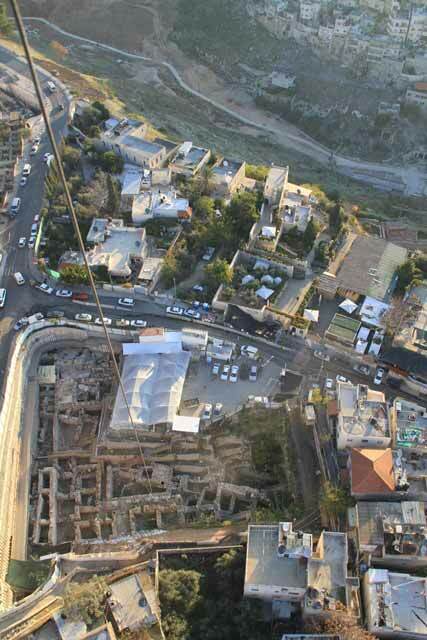 The building of this large and impressive structure on the northern part of the City of David spur reflects the spread of construction in the third century CE to this part of the city. The structure was destroyed by an earthquake that struck in 363 CE. The results of the excavations at the site show that the prevailing suggestion held by researchers that the southeastern hill of Jerusalem remained beyond the city limits in the Roman period is erroneous. The Byzantine Period. Remains of a large administrative building and a street paved with stone slabs were exposed in previous seasons. South and east of the administrative building was a large agricultural area that sealed beneath it the remains of the building from the Late Ro`man period. This agricultural area was divided into elongated farming terraces that descended toward the west in accordance with the topography. The farming terraces were supported by long retaining walls, aligned north–south. Topsoil was piled up atop the terraces (average height 1 m). In this excavation season, an agricultural area was excavated on the high, eastern side of the site. Here too, a long wall that enclosed a farming terrace, extending east of it, was exposed. Another lower terrace extended west of the wall (Fig. 11). The Early Islamic Period. Remains from this period were discovered throughout the excavation area; these included several habitation strata indicative of settlement continuity from the Umayyad until the Late Abbasid periods. The results of the excavation from this season added to our knowledge of the settlement from the Abbasid period. This was a planned settlement that included open and built-up areas, which consisted of cottage industries, installations, cisterns, septic pits and a network of alleys (Fig. 12). The settlement from the Abbasid period was built on the remains of a marketplace where pottery, bone items, fruit, legumes, meat, eggs and fish were sold, as indicated by the finds recovered from many refuse pits discovered in the area. 1. The excavation area, Kidron Valley at the top, an aerial view, looking east. 2. A large stone heap, looking north. 3. Entrance of a building from the Late Hellenistic period, looking north. 4. A square shaft of a large cistern, looking north. 5. A building from the Early Roman period, a ritual bath on the left, looking north. 6. A ritual bath and a rectangular installation next to it, looking east. 7. A shaft leading to a hiding refuge. 8. In-situ jars on the floor of a hiding refuge, looking north. 9. The large Late Roman building at the end of the 2012 excavation season, plan. 10. The western part of the Late Roman building, looking north. 11. A farming terrace wall from the Byzantine period and the topsoil it retained, looking east. 12. A crafts area in the Abbasid period settlement, looking west.